Raises the gearing of all Li, SX, TV (except Series 1) and GP125/150 models by approx. 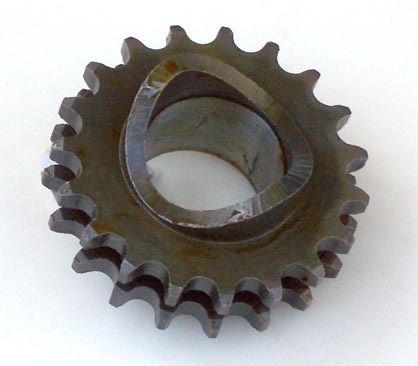 27% when used in place of original 15 tooth sprocket, or 6% when used in GP200 in place of the stock 18 tooth sprocket. Requires a 46 tooth rear sprocket and an 82 link GP200 chain.